As well as featuring laptops and netbooks within its ThinkPad range, Lenovo also manufactures mobile workstations. Aimed at professionals, these machines employ only the latest components to enable you to carry out pretty much any task, regardless how resource-intensive. 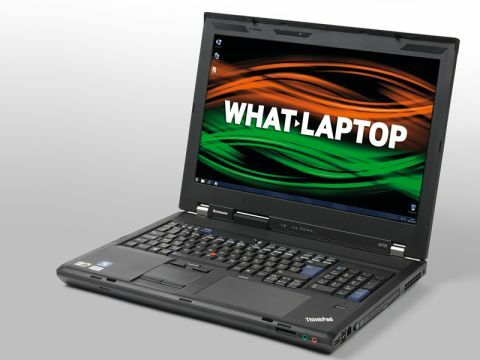 The ThinkPad W701 is the latest version, and provides near industry-leading performance, features and usability. The power on offer is simply stunning, and although the benchmark score from 3DMark 2003 of 32,186 suggests there are other machines as capable of multi-tasking the same workload, further tests found the machine to be one of the fastest we've ever seen at carrying out any and all tasks. The dedicated Nvidia graphics card is also extremely powerful, meaning that if you're after all-out power, this is the laptop for you and will help everyone from scientists crunching serious amounts of data to film editors who want to edit high-definition (HD) footage as fast as possible. The 17-inch screen is also fantastic and the 1920 x 1200-pixel resolution is the highest currently available on any laptop. Images are razor-sharp as a result and offer excellent detail and clarity. What impresses most, however, is the vivid colour reproduction and contrast. The laptop features Lenovo's renowned build quality and the machine is very well put together. Aside from the very firm keyboard, there are three other input methods: a regular touchpad, a pointing stick and finally a Wacom tablet built into the palmrest. One point worth noting is that the tablet is positioned on the right side of the palmrest and left-handers will brush the regular touchpad as they work. You can deactivate the touchpad using a hotkey, but it's worth noting. Connectivity is also excellent, with the latest in Wi-Fi and Ethernet technologies helping you connect to network at the fastest speeds. You also get a FireWire port, eSATA interface and even a USB 3.0 port. This latest connection technology helps you transfer data to compatible external devices, such as a hard drive, at very fast speeds. Somewhat predictably, portability isn't that impressive and the 161-minute battery life will mean you're largely chained to your desk. At 4kg this is also one of the heaviest laptops we've seen. That shouldn't really count against the Lenovo ThinkPad W701, however, as where its strength really lies is its power, and in this it excels. The ThinkPad W700 - its predecessor - was once the most powerful laptop we had seen, but the W701 has successfully stolen that crown.